The coroner's office are looking for information about this T-shirt to help identify a man whose body was found on Centerville Beach in February. The Humboldt County Coroner’s Office is looking for information about a T-shirt in the hopes that it will lead to the identification of a man whose body was found on Centerville Beach in late February. 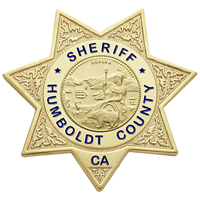 The man’s severely decomposed body was found Feb. 24 about one-quarter of a mile from the mouth of the Eel River, according to a previous new release. An autopsy found that his death appeared to be consistent with drowning. The Humboldt County Coroner’s Office needs the public’s help to identify a male body discovered in late February on Centerville Beach. Efforts to identify the body have so far been unsuccessful. The body was found wearing a black shirt with the following words printed in white: “HumboldtANARCHO, STATE FREE- HATE FREE – FIGHT BIGOTRY”. Anyone with information about where this shirt may have come from or who may have owned it is asked to contact the Coroner’s Office at (707) 445-7242 or the Sheriff’s Office Crime Tip line at (707) 268-2539.